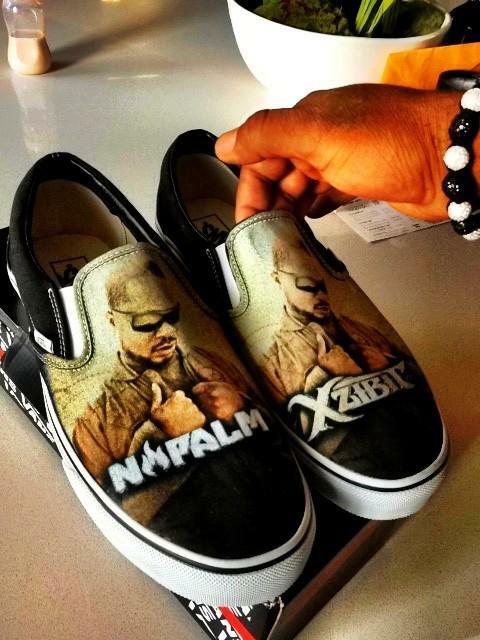 Xzibit Contest: Xzibit is Giving Away 1 x Signed Limited Edition Napalm Vans Shoes! Xzibit announced on his Twitter (@xzibit) that he will be giving away 1 x Limited Edition Napalm Vans Shoes signed my the man himself. X hasn't announced how he will decide who wins the shoes and what they have to do to win so keep an eye on @xzibit for your chance to win!